Nature’s Sunshine VS-C®, Chinese, blends herbs used in traditional Chinese medicine as a “metal-enhancing” formula. 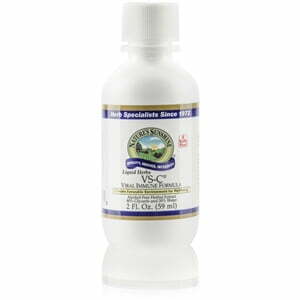 VS-C promotes proper microbial balance and supports overall health as well as the detoxifying process of the body. It also nourishes the respiratory tract. Dr. Wenwei Xie developed this Nature’s Sunshine exclusive formula. Instructions: Adults: Take approximately 30 to 40 drops (2 ml) in water with a meal 2 to 4 times daily. Children: Take approximately 15 to 20 drops (1 ml) in water with a meal 2 to 4 times daily.